Today I belatedly begin my blog on the 64th day of my 365 day resolution to rid my home of those under utilised items cluttering up every nook and cranny. That is probably a little unfair to myself because I am not a hoarder by any means and after years of moving around the country and even overseas due to my husbands job I have kept things fairly under control but kids grow up, hobbies change and our focus shifts making some items quite redundant yet often still quite useful to someone else. 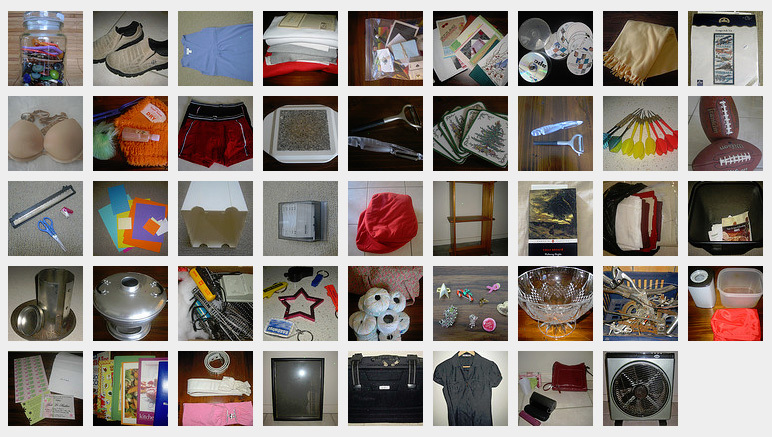 Here is the list of the 64 items already being “loved again” or filling up a landfill somewhere. The funds raised by the items on the sold list are to be spent replacing the mixer that died with a smaller more versatile model. Happy Blogivesary to you!! Congratulations on meeting your goal. This blog has meant so much to my sister and myself. We e-mail each other everyday with our item of the day and other fun things. Do you plan to continue the blog? even though yesterday was the anniversary of the blog the 365lessthings mission actually ended on the 31st of December because I had actually started the challenge on the 1st of January 2010. Unfortunately of fortunately depending how you look at it I still have plenty of clutter to remove and all you wonderful readers to continue to badger about getting rid of your clutter. Therefore I will be around for some time yet for your amusement so never fear. As Maxwell Smart would say “And loving it“! 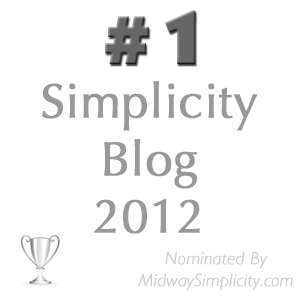 finally found the first blog post, And I’m glad te learn that you had begun the challenge way before you actually started blogging about uncluttering. I must say that I’ve been reading your posts with great interest lately and it has inspired me unclutter. My mission actually started last year due to a move. And antoher move last summer. I’ve uncluttered al ot of stuff allready, but I feel I’ve got a long way to go. My boyfriend and I now pledged we would have 365 less things by christmas 2012 and we’ve already got a box sitting in the cellar collecting the stuff to be sold next spring at the carboot sale. Luckily we had a very modest christmas with mostly gifts that can be consumed or are realy useful like socks and new linnens for the bed. Yes hunter_xs I has already learned the error of my ways and accumulated some decluttering expertise before I started blogging about it. I am still learning as I go and continuing to make progress. The beauty is that I have now helped so many other people who needed a little encouragement along the way. As small as my contribution is I feel the world is a little better for it. ah, what i wanted to say was I ws glad to learn that you too we’re on a mission before you started blogging, as i don’t have to feel like all the stuff i got rid before i made it (sort of) offical was not part of my mission to simplify.